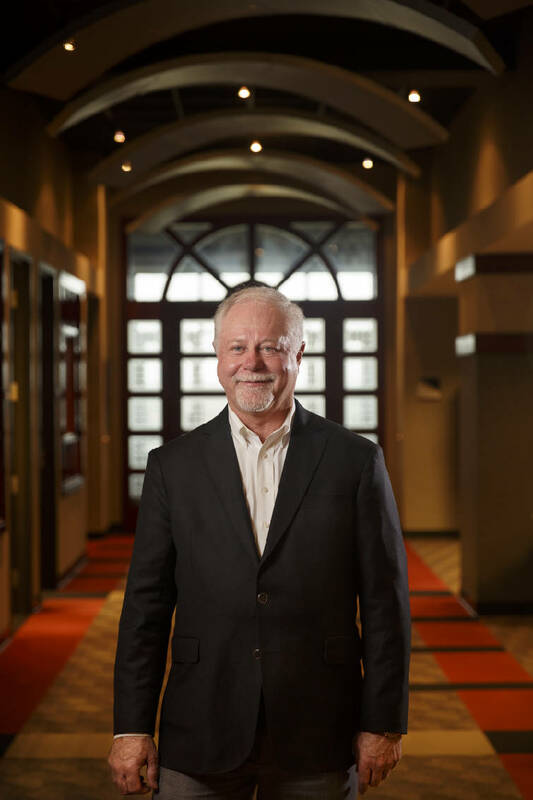 U.S. Xpress founder, chairman and CEO Max Fuller poses for a portrait in their offices Friday, Oct. 2, 2015, in Chattanooga, Tenn. Fuller was recently named among a top-100 list of UTC's most influential business school graduates. Chattanooga's biggest trucking carrier is going electric, at least with some of its fleet, in the next three to five years. U.S. Xpress Enterprises has agreed to test some of the first new electric semi-trucks to be built by a new truck manufacturing company whose founder wants to revamp the trucking industry by replacing diesel engines with hydrogen fuel and battery-powered electric motors. Trevor Milton, a 34-year-old entrepreneur who unveiled his proposed hydrogen-fuel line of electric motor trucks last week in Salt Lake City, said his Nikola Motor Co. is developing a cleaner and better engine that could eventually help replace many of America's current fleet of more than 15 million diesel-powered semitrailers. Milton said he plans to build a $1 billion factory to assemble the new Nikola One electric-powered trucks within the next five years. But the initial models are expected to be built in Tennessee, and some of the first will be driven by U.S. Xpress drivers. Fuller, who founded U.S. Xpress 31 years ago next month, said his company has been a pioneer in testing out new satellite communications, wind resistance designs and vehicle safety systems over the past three decades. "Any time there are new technologies in the market that we think will be a game changer, we try to participate with those manufacturers that are coming to the market and try to help them understand what's needed in our industry," the U.S. Xpress CEO said Wednesday during an interview at the company's Chattanooga headquarters. "We probably have eight to 10 technologies on our trucks today that no more than two or three other companies are running because we want to stay ahead in our industry." Fuller said he has seen many of what he calls "dreamers and schemers" who have great ideas for the trucking industry but can't get them off the ground. But when he first met Milton early this year, Fuller said he quickly saw that the Nikola engineering team had developed a workable design to use a new generation of long-lasting batteries, combined with hydrogen fuel technology, to create a high-power, long-lasting electric engine. "This is my passion — to transform how trucking works," Milton said last week when he unveiled his new line of electric trucks. "We've done something that no one else thought was possible." 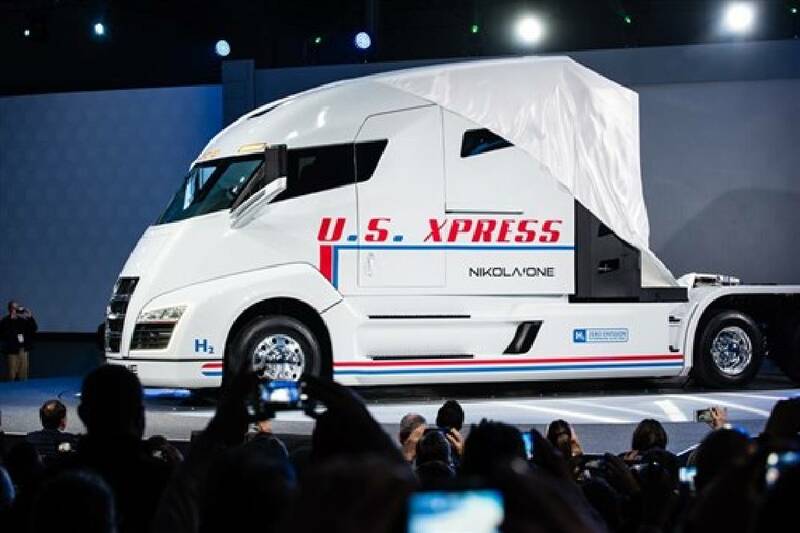 The Nikola One truck will operate using a 300-kilowatt fuel cell, as well as a bank of 320-kilowatt batteries that provide backup energy and help the vehicle power up hills and respond to high-torque demands. The powertrain will be capable of producing up to 1,000 horsepower and 2,000 pound-feet of torque. The Nikola One truck should be able to travel 800 to 1,200 miles while carrying a full truck load without stopping, and could be refueled at hydrogen fueling stations Nikola also plans to eventually build. Nikola One should be road-ready by 2019, the company said. Milton said initially Fitzgerald Glider Kits, an automotive parts maker in Byrdstown, Tenn., will produce the first 5,000 Nikola One trucks while Nikola prepares and builds its own production plant. Fuller said he introduced Milton to the Tennessee truck maker as a way to build the early models of the Nikola One. The hydrogen fuel and battery power in the new vehicle will have virtually no air emissions and won't require oil changes and other costly maintenance as do today's diesel engines, Fuller said. The new electric trucks are projected to cost three times as much as today's vehicles. But Fuller said they won't be subject to fluctuating fuel costs and they should last for millions of miles, if the battery banks are replaced every 500,000 to 600,000 miles. The batteries also will provide power to the cabin so that drivers also won't need to idle the trucks. Environmental regulators are imposing new restrictions on engine idling by trucks in many areas of the country so the new electric trucks offer a cleaner, lower carbon alternative for the industry. Fuller said the Nikola design also features more cab room for drivers and more safety features on its trucks for the comfort and security of drivers. Marshall Martin, an analyst with the Frost & Sullivan consulting firm, projected in a report last week that reduced maintenance and fuel expenses could make the new vehicle less expensive to operate than comparable diesel-powered trucks, especially with more stringent environmental rules on diesel engines. Nikola said customers will be able to lease the truck for between $5,000 and $7,000 a month, with unlimited hydrogen fuel and scheduled maintenance included during a six-year lease. Frost & Sullivan predicts that Nikola will sell 2,300 to 4,800 units by 2025, and customers could save more than $20,000 a year leasing the Nikola One compared to an average diesel semitractor-trailer. "Tightening emission and fuel efficiency standards will increasingly push all the major original equipment manufacturers in North America toward an electric-hybrid alternative," Martin said.